During one of the worst weather-related crises to hit the eastern seaboard, what did New York City’s sanitation officials do? 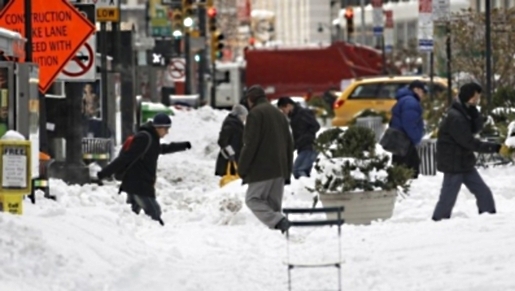 While the Christmas Blizzard was beating up on New York City, sanitation officials were allegedly getting boozed up and sitting in a warm, idling car all night. That’s what people in Brooklyn are alleging happened. Witnesses say four New York City Sanitation supervisors bought a few six packs of beer and sat in their warm, idling car all night. When morning came, they called in and said they could not work because their car had run out of gas. Gallingly, the Sanitation officials passed a stuck city bus and four idled plows during their five-walk block through 20-inch-deep snow from their car to the Ocean Mini Mart in Kensington. Even worse, they ignored the pleas of residents for help, the witnesses allege. I can’t say I’m really surprised; there are too many reports of deliberate work slow-downs and the like for me not to believe this is a logical occurrence. Still, just because it’s what I expected doesn’t make it any less disappointing (or irritating).